Hello everyone, I am author L.K. Kuhl and I live in Nebraska with my husband of twenty-nine years, young son, Nathan, and Greg, our Black Lab dog. I have two older daughters, Morgan and Brittani and son-in-law, Trevor. I have been writing for over twenty years. 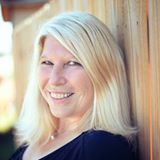 I first began writing children’s books and poetry, moved on to writing music, and am now writing Young Adult and Adult novels. My first book, Everlasting, a Young Adult Paranormal Romance, was published in February, 2016. I love spending time with my family, vacationing, writing, reading, and taking long walks. It’s the characters who write their own stories in my novels, and I am is just their messenger, sharing it with the world. I have always been inspired to write, even since I was a high school aged girl just fumbling through the halls of my small school. My hometown where I grew up is very small, and it was just me and about 30 other kids who graduated from my class. I was literally the girl next door and married my high school sweetheart the year after I graduated high school. I never did go on to college so I didn't have a college degree to take my writing to this level of getting published. What I mean is... don't let not going to college hold you back from writing. Kids and life got in the way of my writing but even when my girls were 2 and 3 years old I piddled around with writing children's books. In a way, it was my young children who inspired me to write them. My love of writing grew from there and as my children got older, I moved on from children's books to trying my hand at novels. So I would have to say that my children and husband were my biggest inspirations for writing, not so much living in a small town in Nebraska. What inspired you to write Chasm? 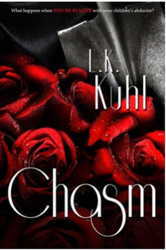 My inspiration to write my newest release, Chasm, came from my husband's job. He used to be an engineer for the railroad. Although he never worked with this gentleman directly, one of the engineers on the railroad hit and killed his wife and children with the train he was driving. It was no fault of the engineer. The wife did it deliberately to get back at her husband, the engineer. The engineer said the last thing he saw was his children looking up at him from the windows of the car. Although this is a work of fiction, and this is just a story between two, make believe people, I felt compelled to tell his story about how utterly and completely devastating this would be. The engineer was never able to return to work after this. What would you say about your new release? My favorite character in this novel would have to be Cole Stevens. Although he is portrayed to be the villain in this story, once you learn why he acts the way he does, and carries out some of these heinous crimes, you can't help but feel sympathy for him. What would Cole say if he were here? If Cole Stevens were at this interview, he would like to start out by first apologizing for the things he has done. He would want more than anything in this world to have his wife and children back. Since Taylor Vine is helping him find the help he needs, he hopes he will soon recover from his PTSD and begin to live a normal life again. The next books I have planned are the 2nd and third book to my Everlasting Trilogy. Everlasting is my debut novel that was released in February and published by Clean Reads Publishing. It is a Young Adult Paranormal Romance novel. The second book of Everlasting is called The Decision. It will continue on the love story between Sophia and Tate and is slated to be released sometime this fall. Now, I am just starting writing the third book in the series which is called Finished Business. If I stay on schedule I will hopefully be done writing this in December sometime so it will be released sometime next spring or summer. After that, I have another Young Adult novel scheduled called Taking Back the Sun. My greatest influences are my husband and children. If you could meet any author(s), who would they be? I would love to meet Nora Roberts and Nicholas Sparks. These are two of my favorite authors and they have all been big influencers in my life. Where did you get the idea for Chasm? It was a true to life story of a man hitting and killing his wife and kids with a train. He has gotten his life back into somewhat of a normal routine, although after getting his soul ripped from him. He will never be the same. Thank you so much for having me here today on Novelspot! I enjoyed sharing my thoughts and news with everyone!